Beta Theta Pi promotes chapter housing that is safe, attractive and creates an environment that supports academic success and the Men of Principle Initiative. To that end, the Cornerstone Housing Program provides insurance, education, support and advocacy for our house corporations, volunteers and chapters. This full-service program can answer all your housing questions and connect you with industry experts, vendors and other Beta house corporations. 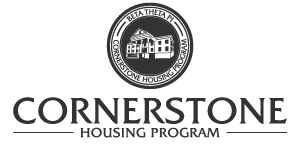 Cornerstone sponsors regular educational workshops, typically presented via webinar, for our house corporation volunteers. Topics range from how to start a house corporation to how to engage your alumni base, and everything in between. We typically present four workshops a semester. For a list of upcoming Cornerstone Workshops, see below. If you have questions, please contact Director of the Cornerstone Housing Program John Reineke at the Administrative Office at 800.800.BETA.